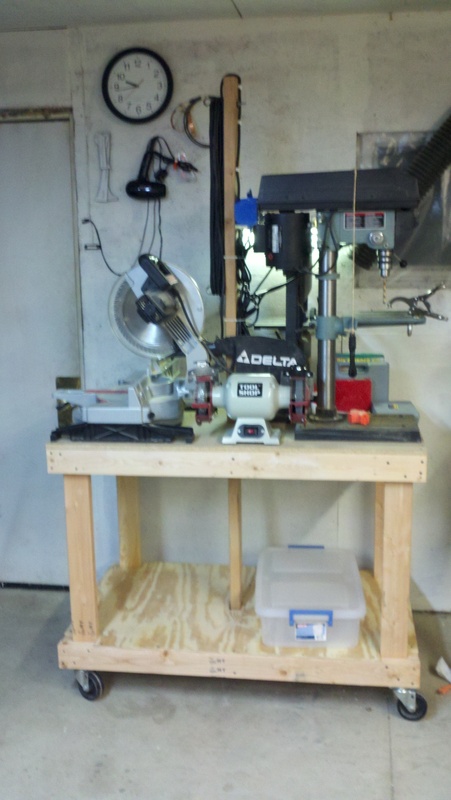 Created the workstation on wheels from the Tony Bingelis book “The Sport Plane Builder”. I made mine a little bigger to match my available space and tools. Tony shows 30″ x 30″, but I chose 30″ x 48″. Turned out pretty good, and I also took the chance to move my tool chest in the garage from the basement, and organize most of the clutter in the garage! This entry was posted in 00. Preparation and tagged workstation. Bookmark the permalink.